The four strands of Collingwood - Academics, Arts, Athletics, and Service - have always set the school apart from others, boasting students that are well rounded and talented in many areas. Though the school offers extensive courses, clubs, and teams in each of the four strands, the number of students who can confidently say that they excel in all the areas is limited. Brooke Mounsey, however, is one of the few students who is not only dabbling in each of the strands, but excelling in all four. Known for her academic achievements, her participation on the basketball, netball, and track teams, and her service in the community, few would expect that Brooke would have enough time to express herself artistically as well. A shining example of the well-rounded Collingwood student, Brooke was in fact first inspired to take up the arts thanks to the four strand system. “Collingwood’s four pillars really pushed me in the direction of art, and I thought, ‘Why not try it?’” Brooke said. And thanks to her aspiration to get involved in the arts, Collingwood was able to bring home the CAIS Independent School Art Show award last year. 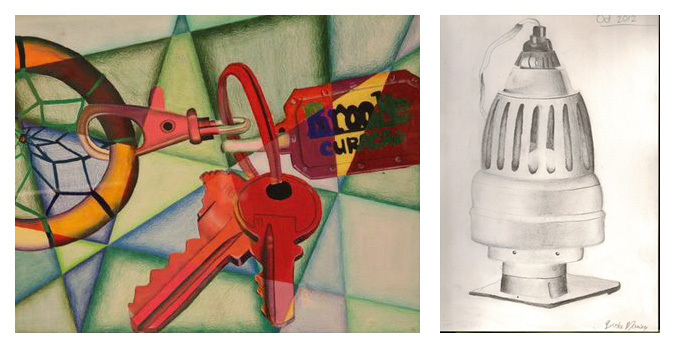 The winning piece, Keys by Brooke Mounsey, was a pastel and pencil crayon drawing that perfectly reflects Brooke’s drawing style. For Brooke, art is a skill that she likes to perfect more than a means of expressing herself. She finds pleasure in being able to accurately portray what her eyes see; yet she also admires artists who are able to present a message through abstract art. Before the art show, Brooke says that she had little confidence in her artistic skills, but after winning the prize she has become more confident and has taken up sketching in her spare time. Although Brooke’s schedule is packed with all her other activities at the moment, it will be exciting to see if this budding artist will present us with any new pieces in the near future.